If you come to Italy during the summer, it would quite sad if you didn’t spend at least a few days on the Italian coast, enjoying the Mediterranean sea and sun. If you’re in Tuscany, we recommend skipping the Cinque Terre as they get very crowded in the summer and have very limited beaches where you can lay your towel to catch some sun. 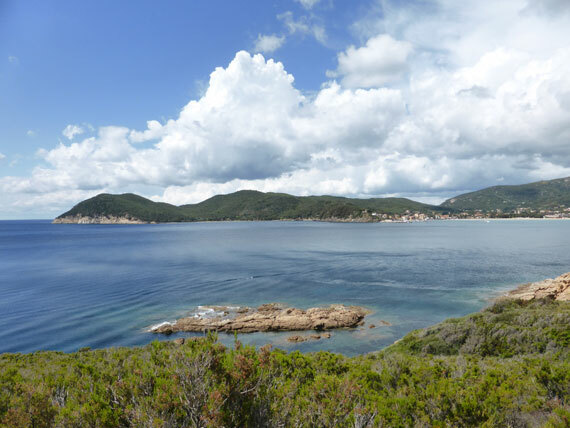 We recommend heading instead to the magnificent island of Elba, the island where Napoleon was exiled to back in 1814 (follow in his footsteps here). Having just spent another 4 wonderful days on Elba on a tour organized by ElbaMyLove.com, we want to share our 5 top tips on what to do on Elba, which will make your time on the largest island of the Tuscan archipelago just off 12 miles (20 km) off the coast memorable! The first thing that comes into mind of an island is the sea and its beaches. 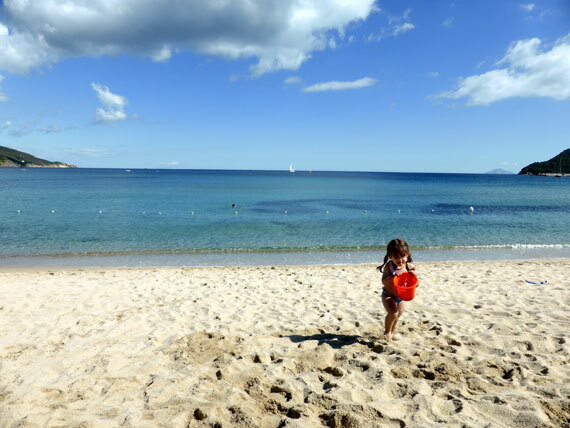 Without a doubt, the primary attraction when going to Elba are its beaches. 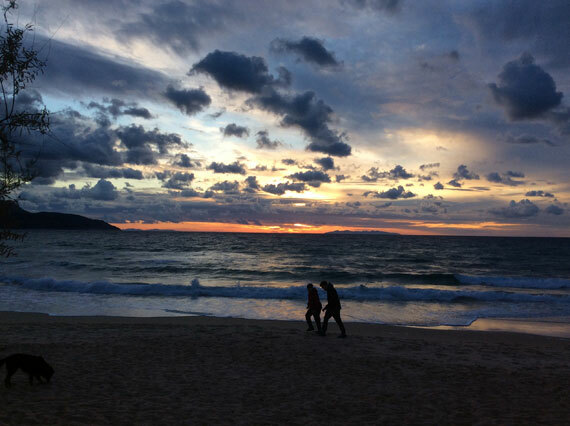 You’ll find spectacular beaches and clear, pristine waters on Elba that rival any in other parts of the Mediterranean as well as those in exotic lands. It has sandy beaches, pebbly beaches and many that are rocks and cliffs right up into the water. There are long, sandy beaches as well as many small hidden bays and coves which either can only be reached after a hike over the cliffs or from the sea. There is essentially something for everyone. 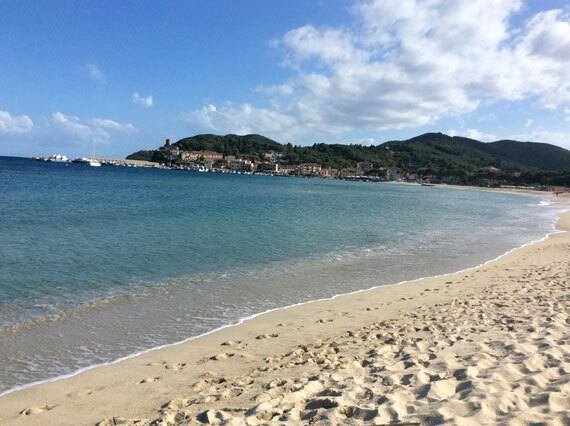 If you’re looking for sandy beaches, head to Marina di Campo. With its almost 2km long beach, it is the longest on the entire island and its shallow water makes it perfect for families with small children. 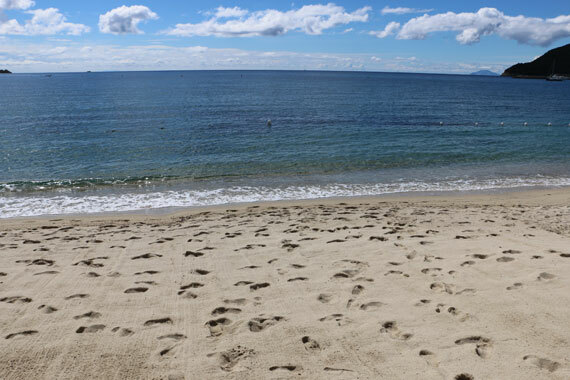 We were just there with our almost 3 year old toddler; she had fun running back and forth to the water, I felt reassured seeing how gradual the sand goes into the water. 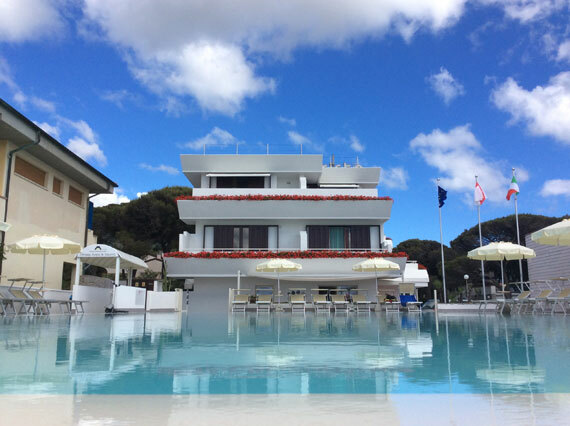 Some parts are public (free), others offer paid facilities (we suggest Bagno da Sergio) where you’ll find deck chairs and sun umbrellas for rent for half a day or full day, a bar for drinks and a light lunch or snacks, bathrooms, and several have small playground areas for small kids. Others offer windsurfing lessons or boat, pedalo and kayak rentals to keep the entire family enjoying time on the water. One end has the oldest part of Marina di Campo, with a small harbor; the other ends in a pine tree grove. There are more sandy beaches nearby in the western end of the island: Cavoli, Fetovaia, Capo Sant’Andrea, Procchio and Biodola (where you can enjoy a romantic dinner at Baia Bianca Suites while enjoying the stupendous sun setting near Corsica) as well as Lacona and Innamorata as you head along east along the southern end of the island toward Capoliveri. If you enjoy pebbly beaches, some of the ones we like are the Ghiaie beach right in Portoferraio (behind the fortress) and Capo Bianco, both with pebbles so white it makes the beach seem you’re in the Caribbean. As you head west out of Portoferraio, you can also try out Sansone, Chiessi and Pomonte on the western part of the island, or Barbarossa or Reale on the eastern end, where the pebbles are much darker given the iron and other minerals in this part of the island. Read more about beaches on Elba here. The only consideration to keep in mind as you set out in the morning: where is the wind blowing from today? It can make a big difference between calm and choppy waters, so depending on your plans for the day, decide which side of the island to head to. You can try a different beach every day! 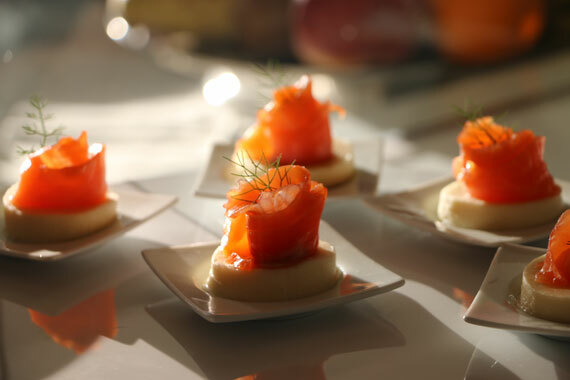 A vacation is made even better with periods of relaxation mixed in with great meals. 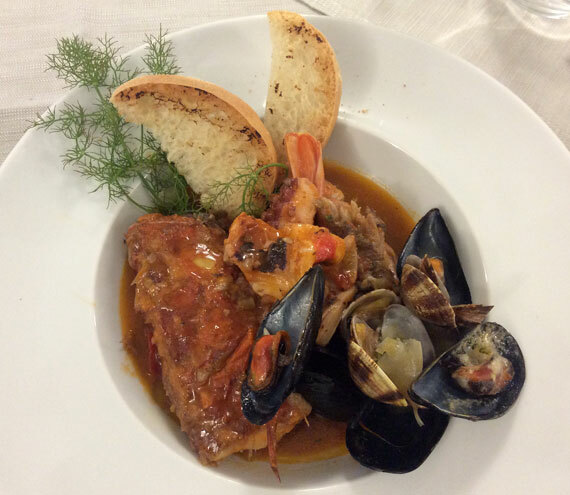 On Elba, expect to sample wonderfully fresh, local seafood everywhere you go, with many prepare local dishes with locally grown produce and other high-quality ingredients. 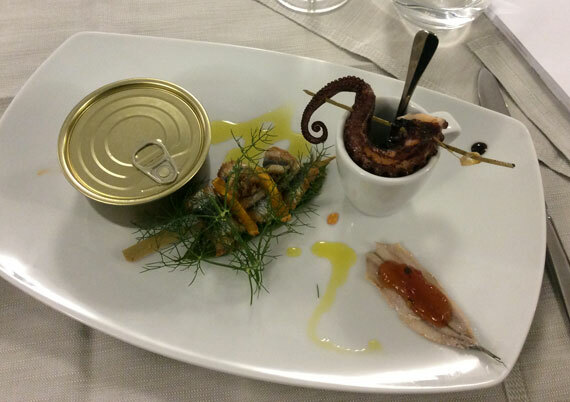 This was the case at the Hotel Montecristo, which made our recent stay a delight with its newly opened restaurant serving just hotel guests. One of the many reasons I would highly recommend anyone stay here: not only did we receive great service throughout our stay, the facilities and pool right by the beach, along with the restaurant, make it a great choice if you’re looking to stay right by the beach in Marina di Campo, walking distance to everything in town. 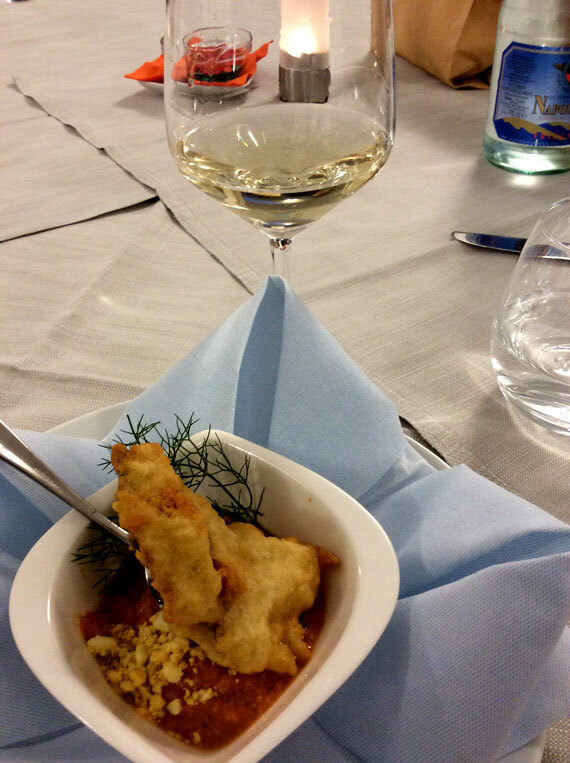 Fresh seafood is not the only specialty on Elba: if you head up to Monte Capanne, the mountain smack in the middle of the western end of the island, you’re heading away from the sea and into a beautiful area perfect for walks. 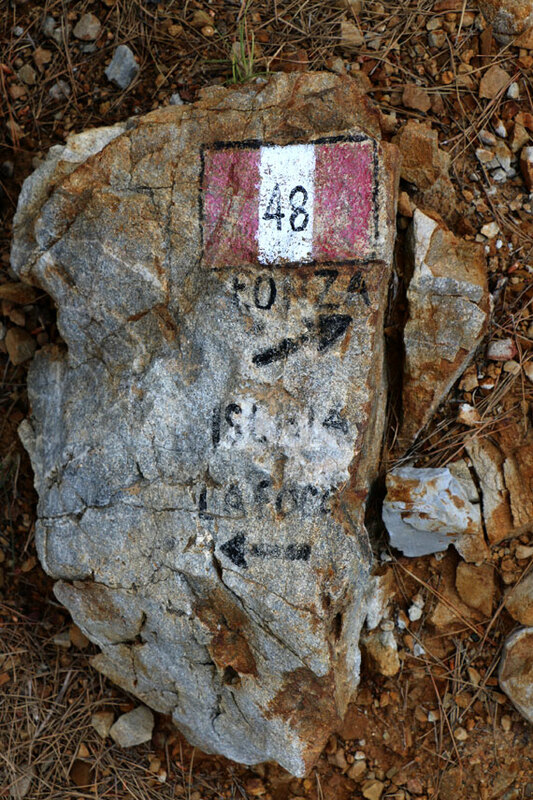 This mountain’s base is granite rock, giving way to several small family-owned quarries (such as the Beneforti one) that cut out Elban granite stone you are likely to find in many homes and buildings all over the world, including 5 columns on the ground level of the Leaning Tower of Pisa. 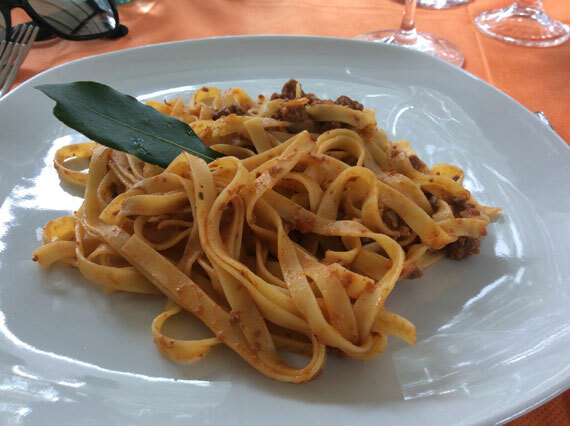 Getting back to food, in Sant’Ilario we enjoyed a delicious lunch at the Ristorante La Fonte at the entrance into the fortified town. 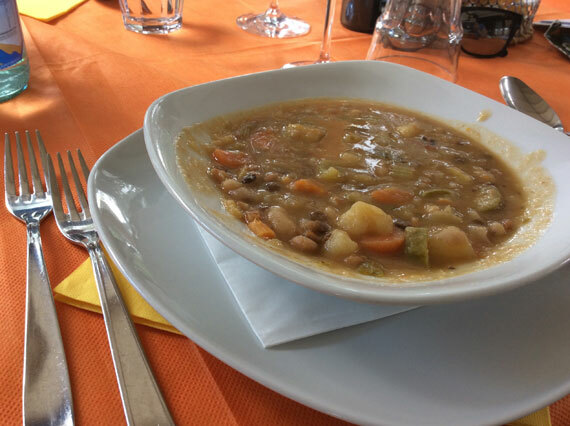 The family-owned restaurant is quite informal and simple, but you quickly settle in as if you were a part of the family enjoying the delicious minestrone soup, still prepared today following grandmother Rosina’s recipe. We even happened to meet her sitting outside her home as we walked around the charming medieval village after lunch. We also highly recommend the fresh, homemade pasta with wild-boar sauce, my toddler gobbled it up! While La Fonte is the only restaurant in town, the large terrace where tables are set up can be fully opened in the summer to permit al-fresco dining while the summer nights fill with music. 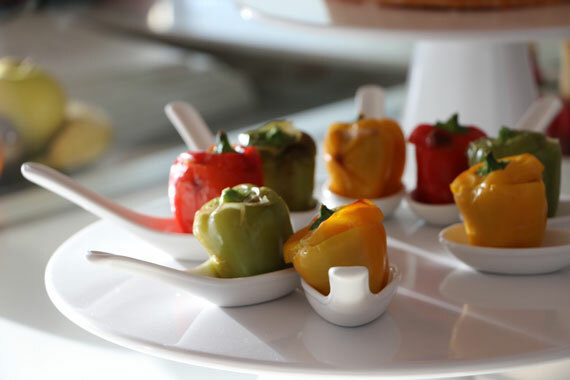 At Baia Bianca, we enjoyed a dinner made out of a lot of gorgeously presented tastings from their menu: from salads to salmon, from pasta to mini stuffed bell peppers and crepes as dessert. 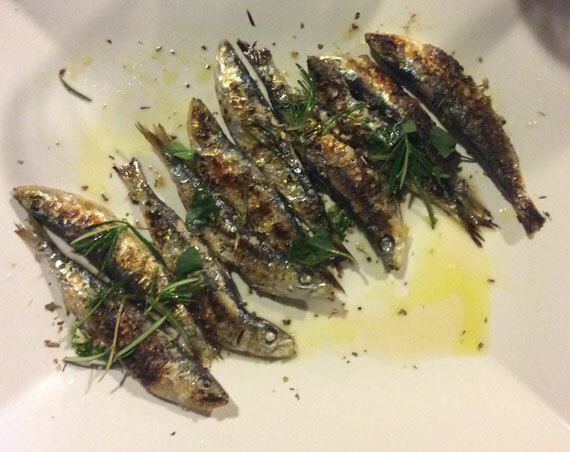 Back in Marina di Campo, we enjoyed a delicious dinner at Ristorante da Paolo, which is a small restaurant just behind the beach-front specialized in home-cooked seafood meals prepared by grandma Lucia (still in the kitchen) and her son, Paolo. At lunch time, you’ll find the menu changes daily based on the day’s fresh catch, while at dinner we recommend you reserve ahead to enjoy a delicious meal based on seafood. We also enjoyed an excellent evening at Trattoria al Moro: chef and owner Andrea Ghisolfi offers an interesting innovative interpretation of local classics. Homemade pasta, locally grown produce and local wines were all an integral part of the meal, and there was a good mix between seafood as well as meat and other options if someone in the family doesn’t particularly like fish. 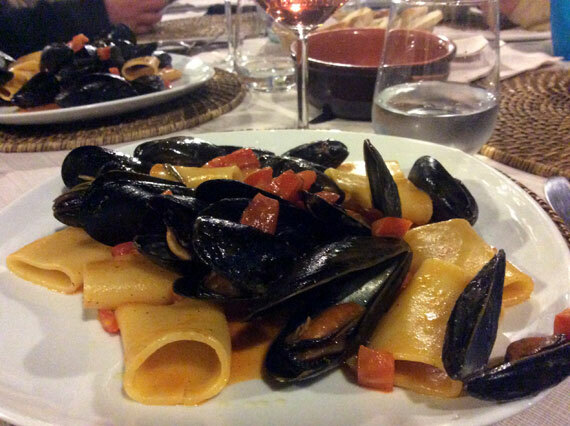 I really enjoyed the fried balls made out of eggplant served with wafers made out of parmigiano cheese, but the paccheri pasta with mussels and rolled paddlefish really completed the delicious meal we had there on our last night on Elba. Elba is more than its beaches, although you will never be far from them. 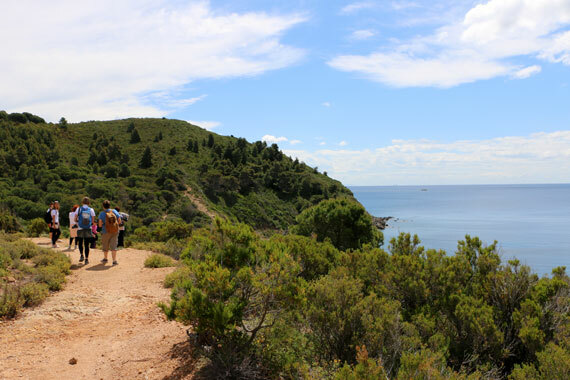 For anyone interested in mixing time on the beach with some activities (aside from activities on the water, such as snorkeling or diving, which are both awesome on Elba), there are countless trails that cross the entire island perfect for both walks as well as exploration on a mountain bike. We spent a morning walking along a part of the trail called “La Via dell’Essenza“, or “The Trail of Essences”. 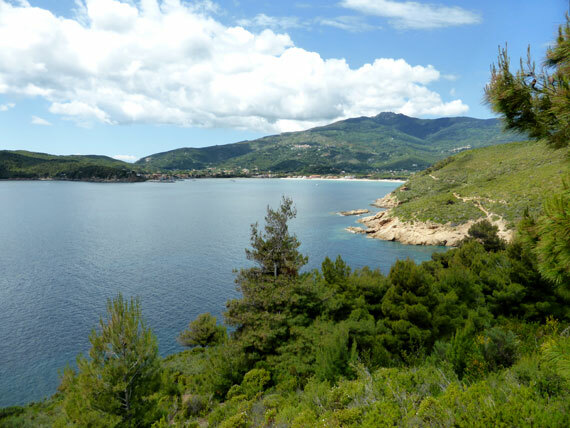 The entire coastal trail is 130km divided into 12 sections that go around all of Elba, each trail named after a local plant or herb that is predominant along that particular section. Almost all sections follow the coastline, each one corresponding to a month of the year when the trail is at its “best”. The sections are of various lengths, from 7km to the longest around 18km. The part of the trail that crosses Marina di Campo is called “Via del Rosmarino“, the Rosemary Trail, and is about 9.75km long if you follow it in its entirety from Colle Palombaia through Marina di Campo to Fonza. I learn all of this as we start at the end of Marina di Campo’s beach at La Foce in the company of the lovely Silvia from Acqua dell’Elba, the main sponsor of the this trail system who has taken on the task of maintaining the trails clean, keeping nature at bay so that visitors can enjoy the island from these vantage points of view. From where we begin to Fonza, the trail is about a 2 hour hike so perfect for a short half-day walk. 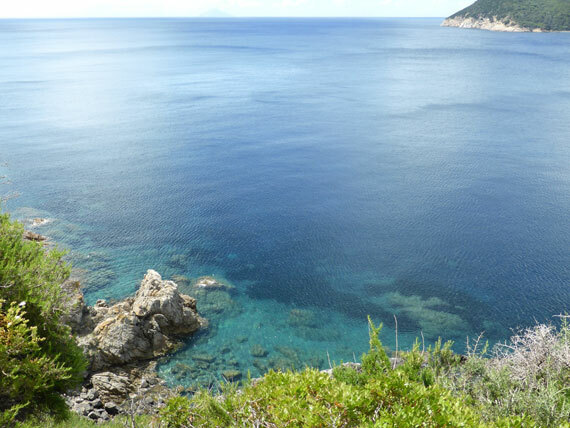 The trail is not difficult, and the views are spectacular as you walk above the coastline, with views of Marina di Campo, the island of Montecristo in the distance and of the beaches and coves below! We’ve also walked from San Piero in Campo toward Pomonte, where you’ll run into the “caprili” or granite stone dwellings used by goat farmers in the past up in the mountain over Marina di Campo, and on the other side of Monte Capanne from Marciana over Capo Sant’Andrea. I’m looking forward to writing more about the Via dell’Essenza and these others trails in upcoming articles on the site, so come back to check our Elba section if you’re interested. 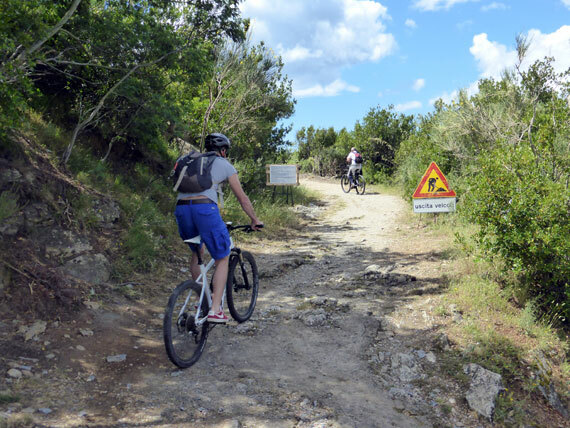 While we learned that this part of the Via del Rosmarino had some parts that were not quite safe for riding on mountain bikes, those who love to cycle will fall in love with Elba! The entire island is a dream come true for cyclists, the hills a challenge, the off-road trails a marvel to go up and down. 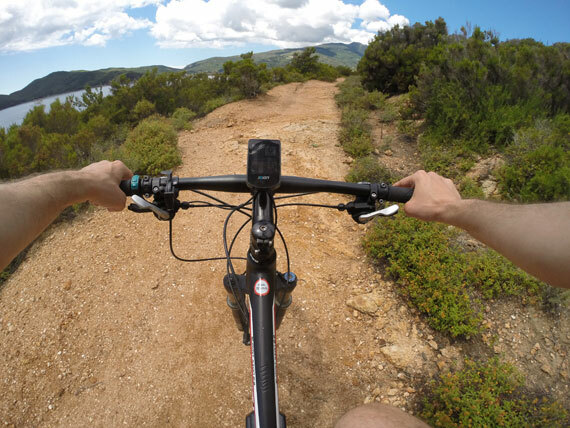 We dedicated an entire recent post to our experience in trying out electric mountain bikes on Elba on this last trip, so you can see that we recommend trying them out, especially if you arrive without your own and can see yourself enjoying the wild beauty of Elba up-close! We are looking forward to returning to Elba and dedicating more time to seeing it on bike. Whether you just window shop or buy a new swimsuit or beach toys for the kids, you’ll need to head to some of the island’s small or big towns to see what’s available. The main streets in Portoferraio, Marina di Campo, and Capoliveri offer many things to see (and to buy!) and just for strolling and seeing the historical parts of these villages. Among the best souvenirs to take home, you should buy some “torta ubriaca” or “drunk cake”, a local specialty bread made with spirits and which you’ll find pretty much everywhere. 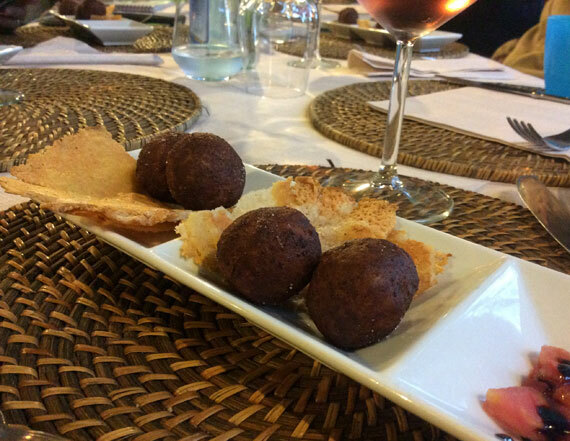 Also try out the sweet Elba Aleatico wine produced from partially withered grapes that concentrate its sweetness. The Aleatico variety is said to have arrived in the island with the Romans, and was particularly appreciated by both Cosimo de’ Medici and Napoleon himself. 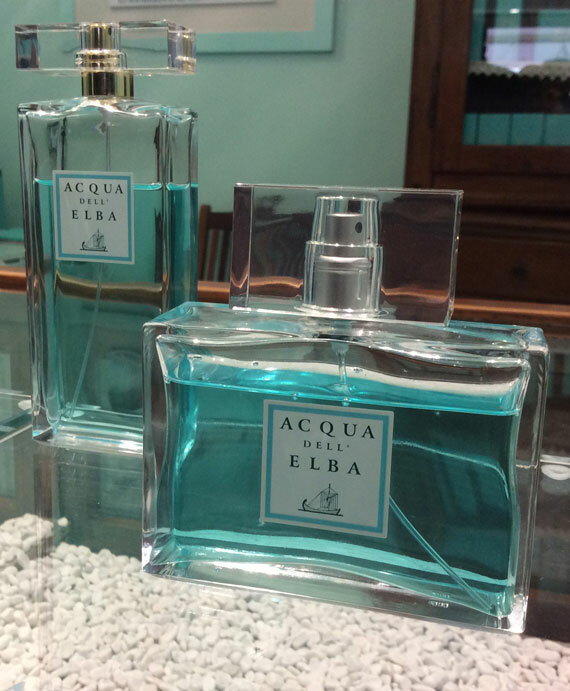 Make sure to take home a piece of the island and its essence with a perfume or home fragrance by Acqua dell’Elba. The lovely signature green-blue boutiques are spread out across the island, with its first home being in Marciana Marina where it still continues today to hand produce, bottle and package every single bottle that leaves the island. We visited one of the boutiques in Marina di Campo – oh my, the mix of natural, clean scents truly capture the essence of the island. The bottles are super pretty! When I spray a little bit of my “Sport” on (their latest perfume), it has me daydreaming on our return to Elba, as it will you. Enjoy exploring the towns, seeing locals and the charming towns they continue to live in. 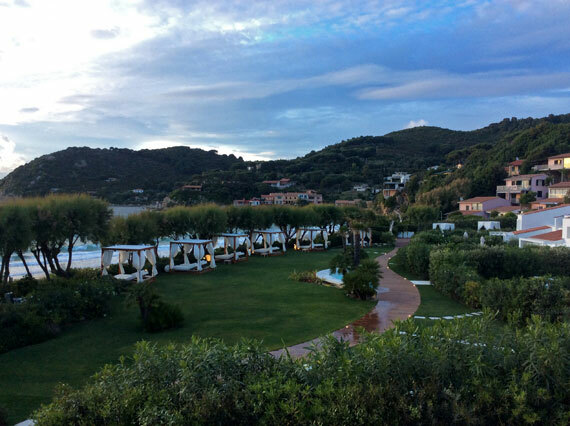 Imagine living here year-round and immerse yourself in local island life while you’re here on Elba. 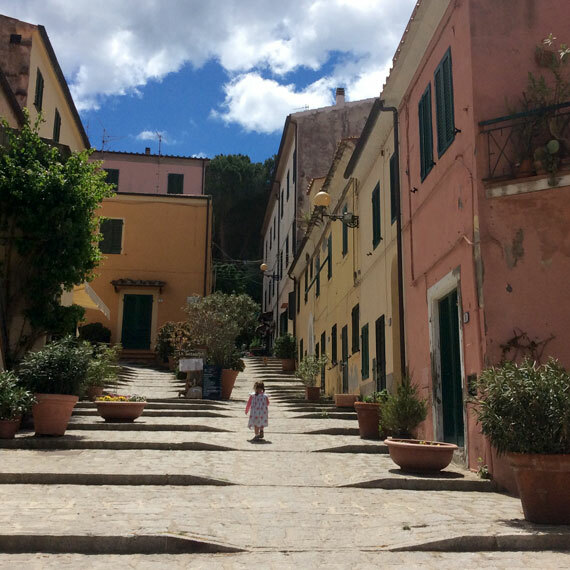 We’ve really enjoyed exploring San Piero, Sant’Ilario (in the two photos above), Marciana, Portoferraio and Marina di Campo. If you (or your kids) love minerals and gems, you will find many shops offering options in most towns. 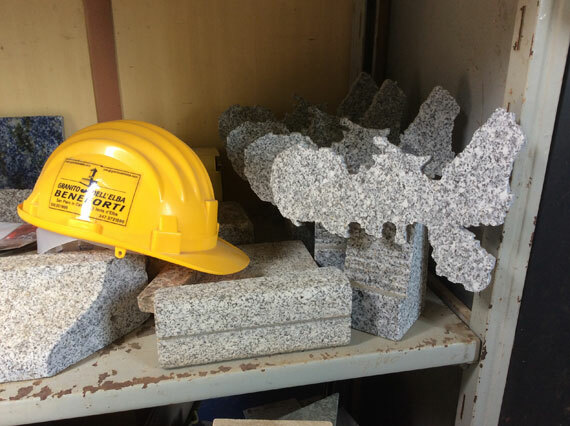 In Marina di Campo and the western side of the island, you’ll find many things made out of granite, such as the pieces made by Granito Beneforti, while the eastern end of the island has other minerals to showcase. Have fun exploring these shops! 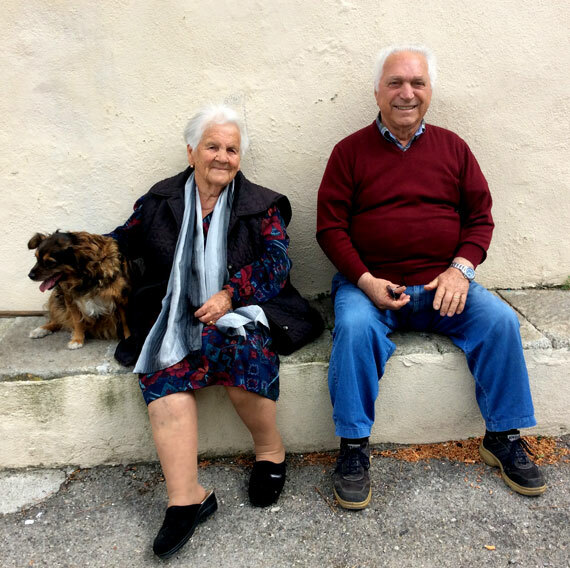 In San Piero, the owner of Beneforti Gianni explain how his family business extracts granite from the ground, an important aspect to life on the island even if tourism has become the main source over the last 50 years. 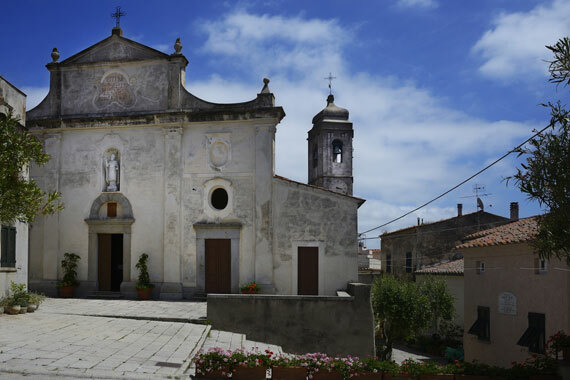 The two mountain towns of San Piero (who hosts the small Museum of Minerals and Gems) and Sant’Ilario, are well-preserved towns whose origins date back to Medieval times and were where the island residents retreated to away from the coast when pirates roamed these seas. These towns are practically made out of granite. Steps, doorways, fountains and benches made in granite stone highlight the local material. 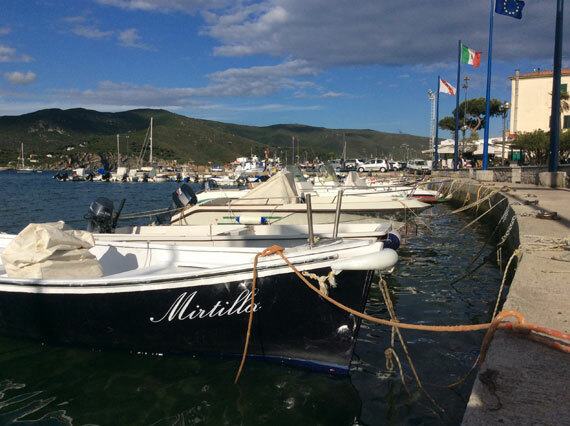 Marina di Campo also has it everywhere, once you realize it is one of the area’s important economic resources you’ll start noticing it more. Make sure to buy a souvenir made out of granite to take back home ;-). From May until September, maybe even mid-October if fall is mild. Keep in mind July and August are the busiest months. Being an island, you need to fly (the island’s airport is just outside Marina di Campo) or take the ferry from the mainland at Piombino. If you’re already planning time in Tuscany, it isn’t difficult to get to. 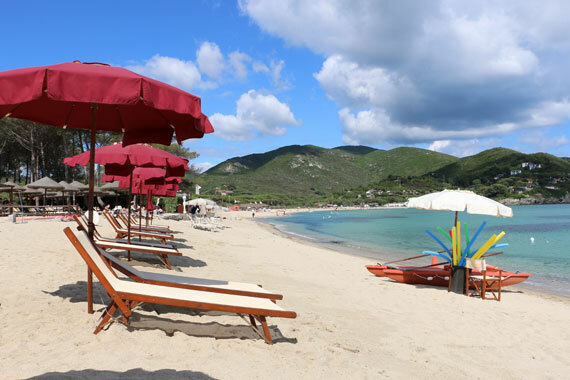 It isn’t that hard to reach: in about 3 hours from Florence (including the ferry ride), you will find yourself spreading out your beach towel and enjoying the beautiful, sandy beaches in Elba. There are essentially three companies that offer the crossing but the two large companies (Toremar and Moby) are actually the same company and thus have a monopoly. Or they had a monopoly as a new alternative now exists. 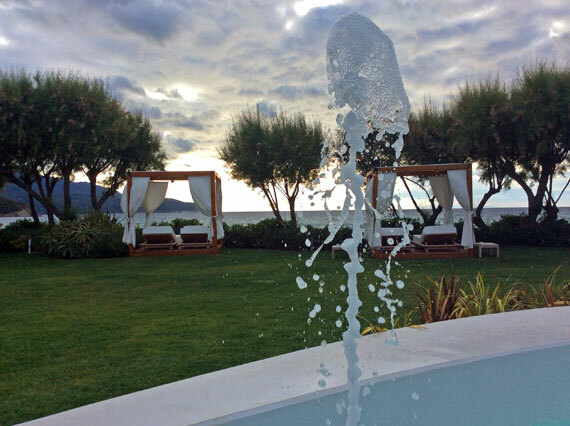 BluNavy is a local company based in Portoferraio, half owned by Elba residents and businesses including the hotel consortium, offering a better rate for those seeking to reach the island. Depending on the season, roundtrip for a car and 2 persons can go from 95 to 150 euro, while the competing companies were at least 25 euros higher for all dates I checked. As we made the crossing, we were able to talk to a representative of BluNavy that explained that as the “underdog” ferry company, they are having difficulty obtaining more slots in the ports to offer additional crossings throughout the day (which I hope will change soon). 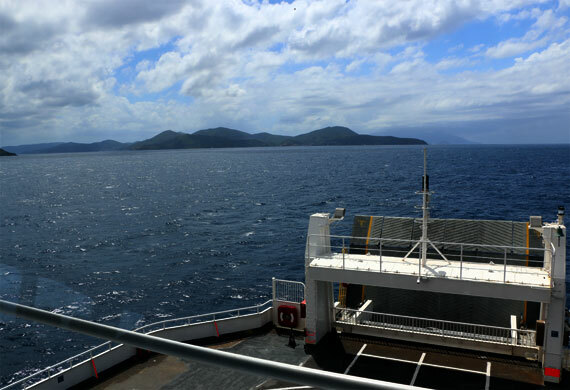 The ferry carries over 200 vehicles and up to 800 passengers and it was very comfortable, with a well-stocked, newly refurbished coffee bar on board for refreshments and seating offered in rows or at tables. With nice, sunny weather, we enjoyed sitting outside and catching both the breeze and view which made the hour long crossing fly by. 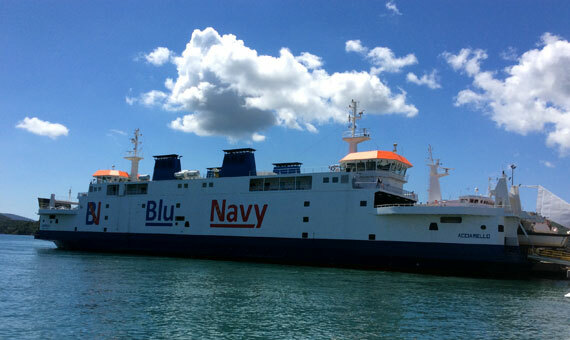 Having traveled on the other ferries in the past, it seemed that BluNavy’s “Acciarello” was more efficient and faster at loading and unloading cars and passengers than the bigger companies. It seemed faster at navigating out of the port and at docking, right on time with the schedule. Being a local company (and a bit cheaper doesn’t hurt), I highly recommend anyone going to Elba to travel on BluNavy! 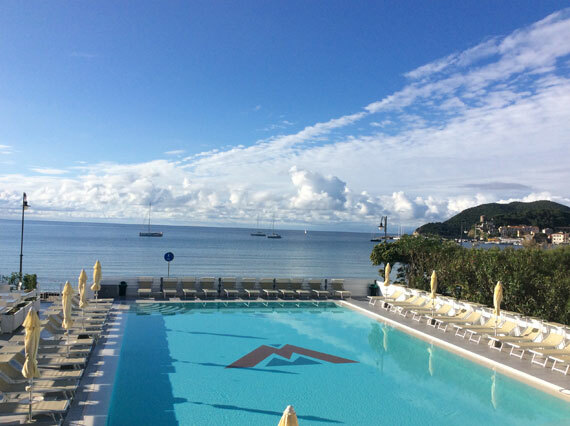 We highly recommend the Montecristo Hotel Resort where we stayed at, since it was stupendous. We wish we had more time to enjoy all that it offered, including a sauna room and the incredible pool (it was a bit cold in May). 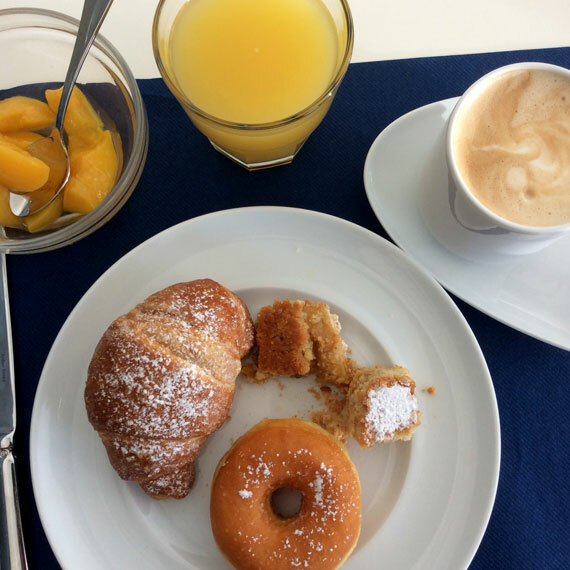 Breakfast was buffet-style, with fresh cakes and bread and many other options. The Baia Bianca Suites we visited for dinner one evening certainly seem the place to stay at if you’re interested in a romantic vacation, such as on a honeymoon. With the numerous canopied lounging beds with view of the ocean, I’d spend a lot of time out there. We’d like to thank Federica and Andrea from ElbaMyLove.com for inviting us and giving us a chance to participate in what local “Elbans” want visitors to the island to experience, taste and enjoy: not just sea and beach, but a mixture of medieval villages and shopping, magnificent hiking and cycling trails and wonderfully delicious Elban cuisine and wines are the key ingredients to the perfect summer in Elba. 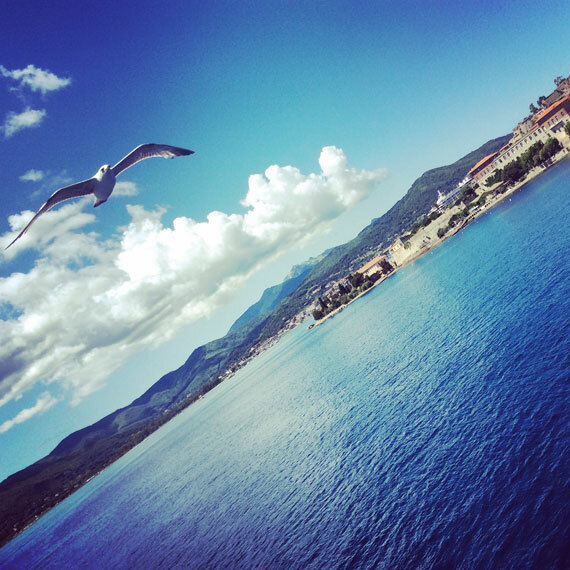 Ready to start planning your trip to Elba? Make sure to read our Elba section and post any questions you have on our forum.